There is no denying that prints are a girls best friend. Well, at least that stands to be true for me. I just can't get enough of polka dots, stripes, animal prints, you name it.. I love it. 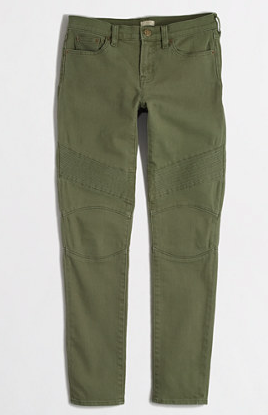 More recently, mixing prints has become overwhelmingly popular. Which is why I decided to share how I like to mix and match my prints. Typically, my leopard flats are my "go-to" shoe to spice up an outfit. 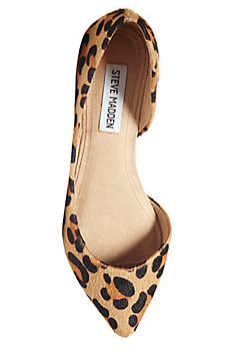 And these Steve Madden d'orsay flats are perfect for just that. Personally, I am super particular when looking for animal prints because I want it to resemble the animal as closely as possible. And for obvious reasons, I do not want it to look cheap. Each print mixing scenario is a little different but my rule is that one color in each print must be the same. 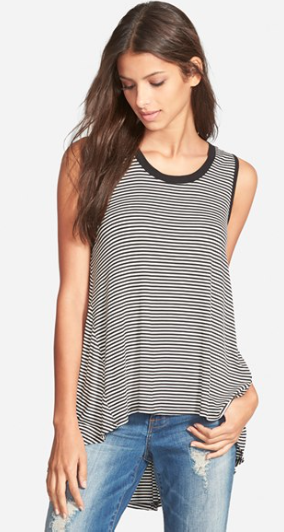 For example, my tank as photographed is black and white striped while my flats have black within the pattern. Seems easy and like it would be common sense, but most people probably don't think of it that way. Which is when mixing prints can become disastrous! Now don't get me wrong there are unique situations where this rule doesn't apply, but for the most part this is how I go about mixing prints. So try it and see how you like to mix your prints. Maybe you find my rule about mixing prints to be false, either way it doesn't hurt to try out new ways to wear a garment. If you ever feel stuck when it comes to mixing your prints, or even what to style a single print with, please feel free to reach out to me! I'd love to help you and get you feeling more comfortable wearing prints.